Claro MagX turns your iPhone, iPod Touch, iPad or Android device into a powerful high definition visual magnifier. MagX makes small items bigger. Make small text in books and newspapers readable, study and photograph small objects and labels, see menus in the dimly lit restaurant. The wide range of magnification, high contrast and colour viewing options makes the text easier on your eyes. Claro MagX is developed by experts in low vision technology, and we look to use the power of the iPad to provide a high-performance cost-effective alternative to dedicated hand held video magnifiers. Claro MagX leverages the power and quality of the device cameras, high resolution retina displays, large memory, processing power, built in accessibility features and long battery life. Claro MagX is FREE on the App Store. MagX has 16 levels of magnification with the maximum of 16x times zoom. MagX uses the high quality device camera. Torchlight option using the inbuilt flash (compatible devices only). MagX allows a photograph to be taken, capturing a magnified document for later viewing. Photographs are stored in the camera roll, from where they can be zoomed further or edited. Freeze mode – tap the viewfinder to freeze the image for closer viewing. Tap the screen to release the freeze. Advanced visual features include full colour mode, two colour mode and grey scale mode. There is also an Invert Function to change display contrast. The grey scale and 2 colour mode allows a colour overlay to be chosen from yellow, purple, cyan, red, green or blue. 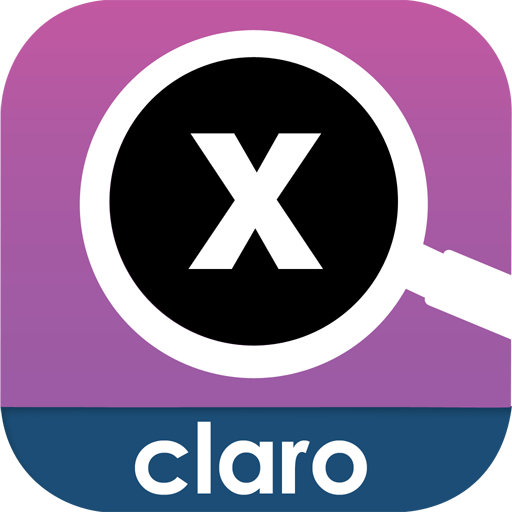 View the Claro MagX help file.